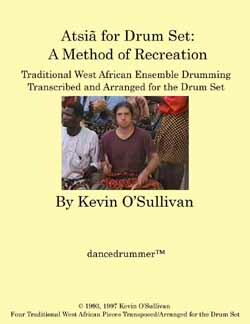 "Atsiã for Drum Set: A Method of Recreation" is a 115 page instructional book. It includes instruction on the traditional instruments used to play Atsiã as well as how to recreate Atsiã on the the drum set. Supporting and lead drum rhythms are included. Check out the links below for a preview of this book.